Sumida Aquarium is located on the 5th and 6th floors of Tokyo Skytree Town Solamachi. The progressive aquarium has plenty of interactive exhibits and visitors are encouraged to roam instead of following a designated route. The aquarium also contains a café and hosts workshops and live events. Check it out along with Skytree’s observation deck. 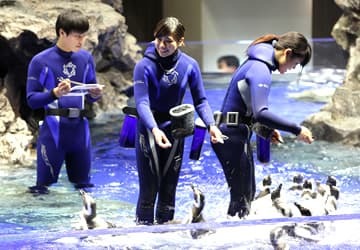 The aquarium is organized into 8 zones, including “Tokyo Water Tank”, which models the seas surrounding Ogasawara Islands; an indoor, open-pool tank housing penguins and seals; and “Lab”, where you can interact with the aquarium keepers. Each zone allows you to observe and learn about marine animals in a slightly different way. Definitely see the “Tokyo Water Tank” – Sumida Aquarium worked in collaboration with Ogasawara Village to replicate the deep, rich seas surrounding the Tokyo Islands. Experience the waters of the Ogasawara Islands, a certified World Natural Heritage Site. 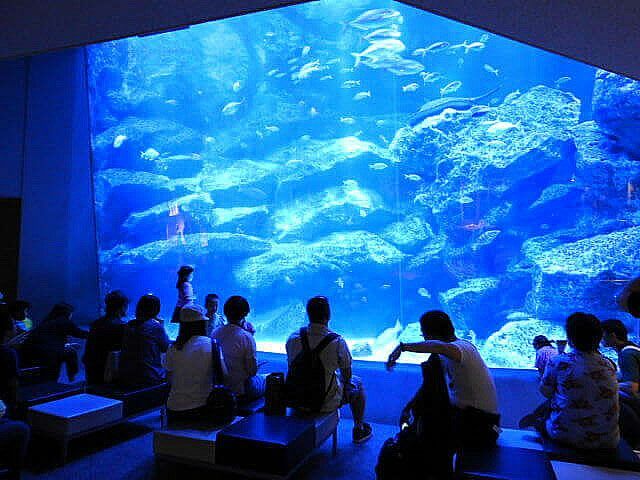 The aquarium is designed so that visitors have an intimate view of the marine animals. For example, you can watch and talk to aquarium keepers. Chairs are placed around the aquarium, so that you can appreciate the marine life at your own pace. The aquarium café also has original cocktails, which you can sip while walking through the aquarium. 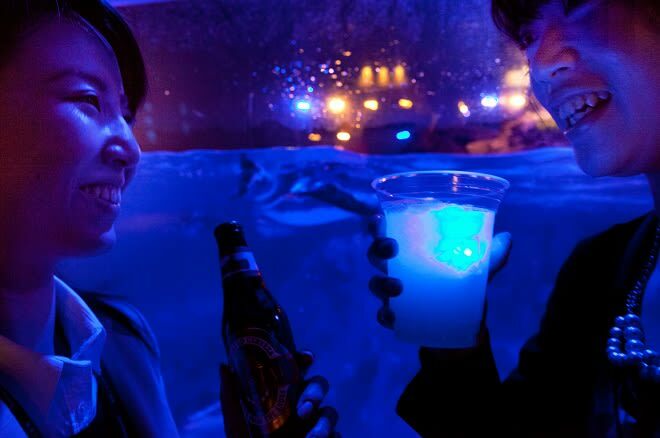 Why not enjoy a “grown-up night” at the aquarium? Within the 8 zones, we recommend the “Edo-rium” section, which opened in April 2015, for those that want to experience Edo culture. Goldfish have a long-standing relationship with Edo and Japanese culture and are admired for its elegant beauty. 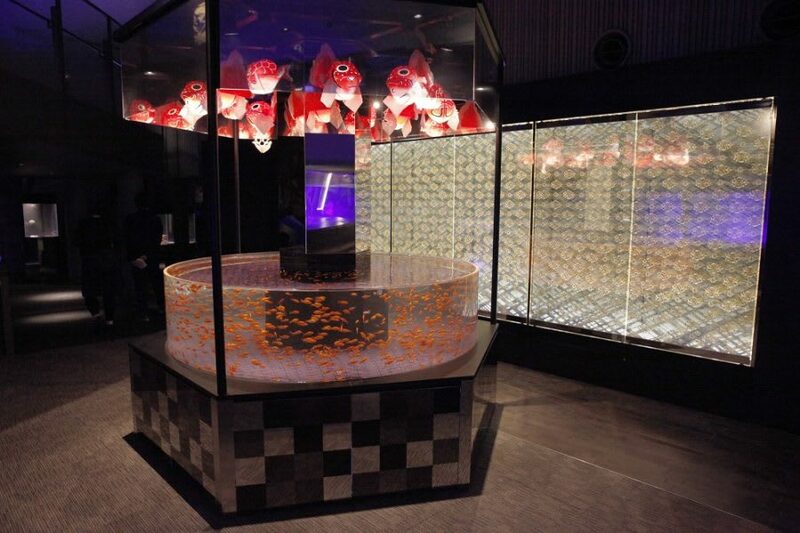 20 different types of goldfish are showcased in the “Edo-rium” section. Another unique draw is that you can eat and drink at the aquarium. We particularly like the “Ogasawara Salt Vanilla Soft Cream” (360 yen) and the glowing “Blue Night Cocktail” (650 yen alcoholic / 600 yen non-alcoholic) at the Penguin Café, which is located next to the penguin pool. If you’re lucky with timing, you can watch Magellan Penguins during their feeding time. Fun fact – the penguins reside in an indoor, open-air pool holding 350 tons of water, making it the biggest in Japan! 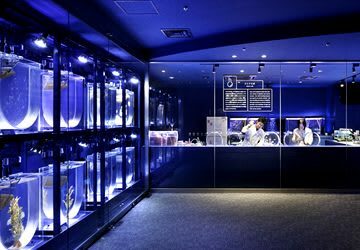 The Lab section at Sumida Aquarium aspires to provide an intimate view of the marine animals. 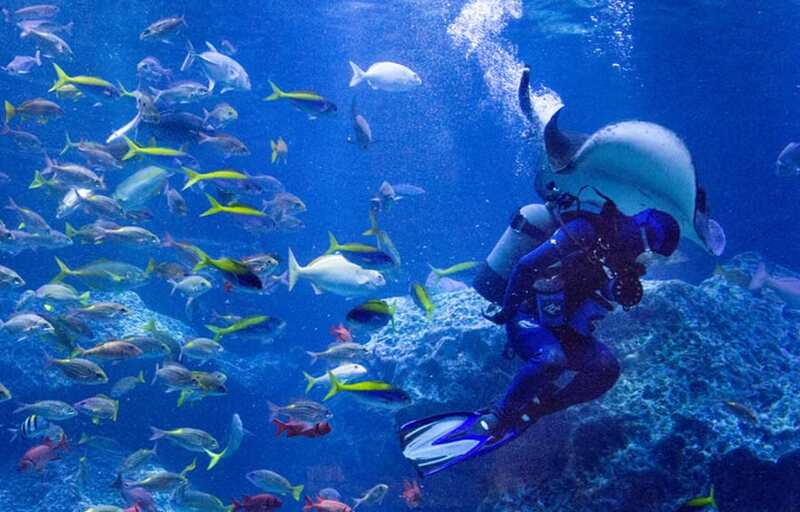 Not only can you see marine animals up close, you can watch and talk to the aquarium keepers. This is a rare and refreshing opportunity! ・No planned closures. However, it may be closed on select days for special events or maintenance days.